Yesterday the market decided where to move further. 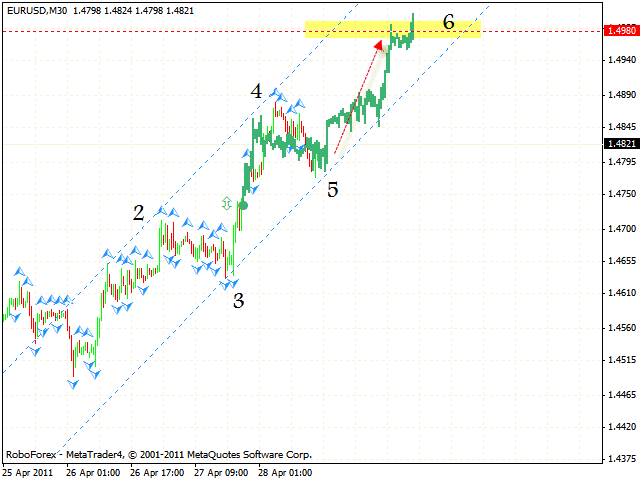 At the moment we should expect the EUR/USD currency pair to start growing. At the M30 chart of the pair we can see the formation of the rising symmetrical pattern with the target in the area of 1.4980. 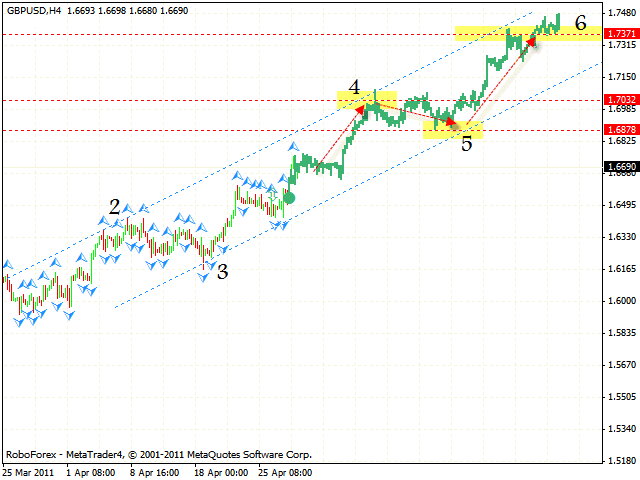 Euro is testing the channel’s lower border, one can try to buy the pair with the tight stop. But if the price breaks the channel’s lower border and leaves it, this case scenario will be cancelled. In case of Pound we should also expect the price to continue growing. We can assume the pair is in the middle of the rising pattern. The target of the growth is the area of 1.7370. One can try to buy with pair with the tight stop and the target in the area of 1.7030, which may be a starting point of the correction to the channel’s lower border in the area of 1.6878. We can consider buying the pair from this area during a long term period. But if the price leaves the rising channel, this case scenario will be cancelled. In case of Australian Dollar we can see the formation of the rising symmetrical pattern with the target in the area of 1.1030. 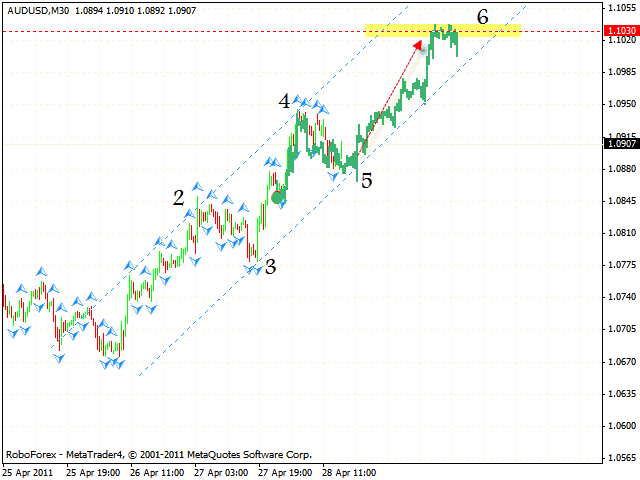 One can try to buy the AUD/USD currency pair with the tight stop. If the price breaks the channel’s lower border, this case scenario will be cancelled and we will recommend you to close long positions.